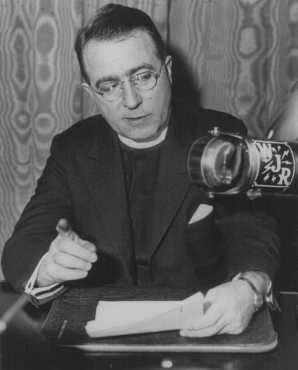 Father Coughlin’s radio show started in the 1920s and his career continued well into the 1960s, before a culmination of anti-Semitic and anti-capitalist views – topped off by sympathetic leanings towards the Nazi regime – ultimately warranted the man’s return to duty-bound obscurity. Throughout his life, Coughlin was a polarizing figure. His writings, quotes, radio broadcasts, and viewpoints of the world are now the stuff of American legend – good or bad. This entry was posted in Father Coughlin, Radio Preacher, Religious. Bookmark the permalink.